​After a 15-year big league career with four different teams, veteran outfielder Jayson Werth is calling it a career. 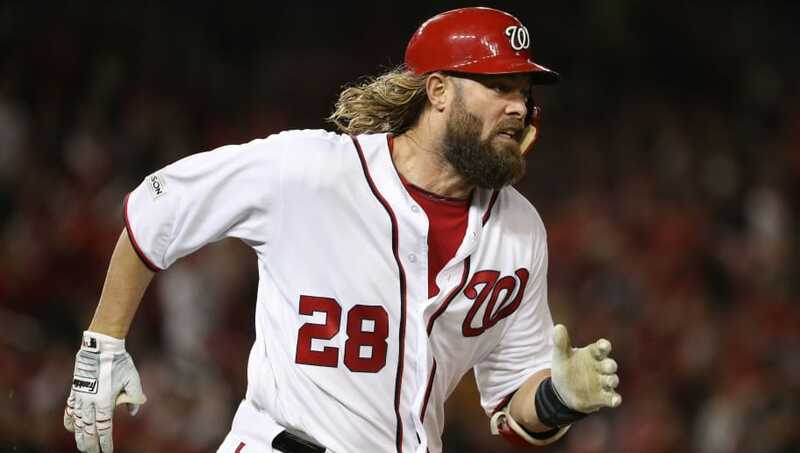 Werth spent the bulk of his career with the Washington Nationals, and after not being retained this winter, he signed with the Seattle Mariners on a ​minor-league deal in March. He's currently on the disabled list down at Triple-A Tacoma with a hamstring injury, but it looks like he's not going to return and will hang up his spikes. ​​Over his illustrious career, Werth won a World Series title with the Philadelphia Phillies in 2008 and was named to his lone All-Star appearance in 2009. In 1,583 career games, Werth slashed .267/.360/.455 with 1,465 hits, 229 home runs and 799 RBI. Werth is known for his caveman look and the seven-year, $126 million deal he signed back in 2010. You can argue whether the Nationals got the bang for their buck from Werth, but he was a productive player throughout his tenure and was the first big piece the Nationals brought aboard that led to several division titles. Have fun with your​ organic farming, Jayson.